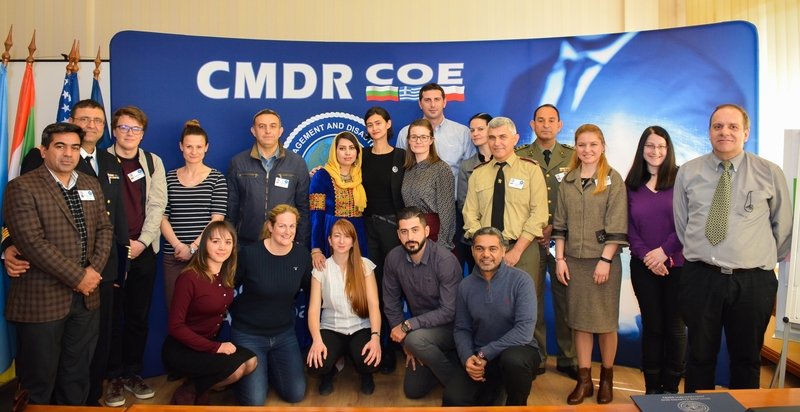 The Crisis Management and Disaster Response Course was held from 18 to 22 March 2019 at the CMDR COE. The aim of this annual event is to provide the attendees with basic knowledge to NATO Crisis Management, NATO Crisis Response System and its complementary elements - NATO Crisis Management Process, Civil Emergency Planning and Operations Planning, as well as Disaster Response main actors. The assigned learning objectives have been fully covered which contributed to achieving the course aim. For the first time of the Centre′s history its course was attended by representatives of entities from Afghanistan, Egypt, Pakistan, Tunisia and UAE. The course participants highly appreciated the lectures for national resilience in concern of NATO baseline requirements. Additionally the basic criteria for evaluation of resilience were presented and thoroughly discussed as well. The CMDR COE would like to express sincere gratitude to the guest-lecturers from the US Agency for International Development (USAID/OFDA), NATO HQ, Bulgarian Ministry of Defence, International Cooperation Directorate from Ministry of Interior, Emergency Response Coordination Centre (ERCC) and Bulgarian Red Cross.